Fine Music albums on Vinyl at low prices, for starting or adding to your Vinyl Collection. Good Music on Vinyl is not always expensive !!! One of the greatest Dire Straits albums of all time. A must-have for any rock fan. You can find it about 5 us dollars in great condition. One of their best records. 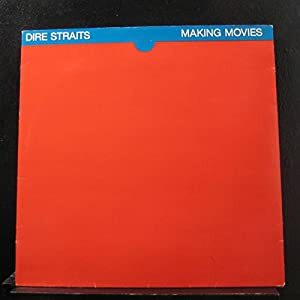 Brothers in Arms might be the biggest seller, but this is the real star of the Dire Straits catalog. I remember the video for "Romeo and Juliet." That song alone made me buy this record. One of the best albums by one of the best groups in Rock history. One of my favorite albums. I don't know much about dire straits but this is a great album !!! !